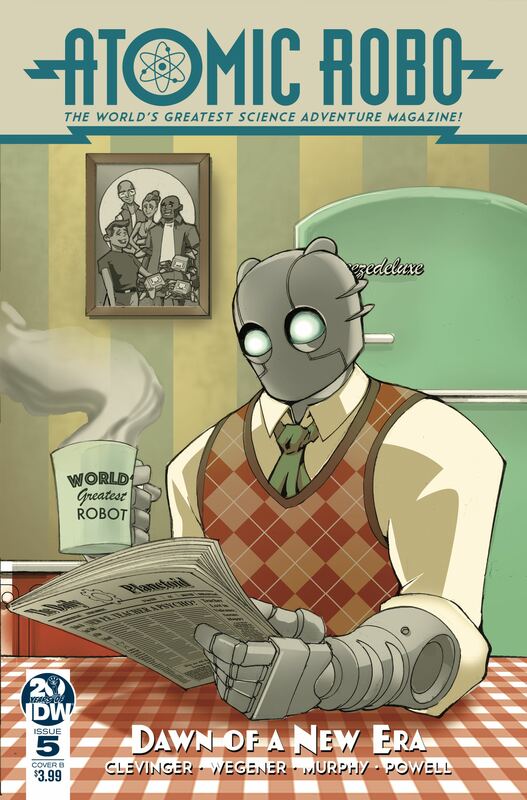 Atomic Robo opened Tesladyne Institute's doors to the next generation of Action Scientists. Everything was going pretty smoothly until Lang discovered Robo's secret robot son who is kinda (sorta) a new iteration of the old automatic intelligence that tried to cook the Earth in nuclear fire some years back. No way things are falling apart, right?